A professional journal is a collection of articles which range from research articles, reports to practical articles applicable to a profession. What separates it from scientific journal is its emphasis on practice. Although professional journals can be a source of research, they primarily address practices with feasible implementation possibilities or practices with important implications to the current state of work. Public Health is quite a specific field of work with many different stakeholders of diverse professional backgrounds. It is not unusual to see, for example, medical doctors, anthropologists, and economists working on the same public health topic, all employing different theoretical backgrounds, research methodologies, and professional networks to distribute their findings. Public Health is notorious for adopting theories and methods from other, more basic, sciences. Publishing practical and, also, research articles from researchers and practitioners from different fields, all working on health topics, should therefore widen the horizon of readers with interest in public health issues. That is more so the case in countries where (new) Public Health is not yet a universally acknowledged and accepted profession. Such is the case of Slovenia. Empowered by the idea presented above, we started to work on a journal where professionals working on Public Health issues would be able to publish and read about work being done in their own country. And all of this in their mother tongue, thus maintaining and developing Slovenian Public Health terminology. Apart from research and practical articles, we decided to publish two specific types of articles. In an article type named Perspectives, professionals from different fields of science deconstruct a public health issue and write a short piece on how the issue is dealt within their scientific or professional domain. The main author of the article summarises their perspectives on the issue and reveals possible conflicts or synergies among different professional and scientific fields. The second type of an article is Methodological conversation where a researcher and a methodologist discuss various methodological issues that often arise in Public Health work. The article is written in the form of a dialogue with the purpose of making often confusing statistical and methodological discussions accessible to a wider audience. In the last issue of the journal the topic of Perspectives is alcohol use disorder and Methodological conversation is on the topic of developing a questionnaire for research purposes. The first meeting of the editorial board of our new journal was held in November 2016. Our first issue was published in October 2017 and the second one in March 2018. 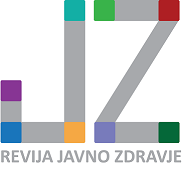 As an editor-in-chief I hope our effort will advance the state of the art in Public Health in Slovenia and consequently in the wider European area.